Welcome to Bloodworks First Person, a series profiling Bloodworks Northwest employees, volunteers and donors by asking them a few questions about their work and lives. Today you’ll meet Dr. Rebecca Kruse-Jarres, medical director of Bloodworks’ Washington Center for Bleeding Disorders which helps patients with hemophilia and Von Willebrand disease be healthy and independent. Currently, I’m working on… keeping all the balls in the air. A very dear patient and my wonderful mentor, Cindy Leissinger…sparked my interest in my field. I chose to come to Bloodworks because… I wanted to work with a patient population and community I care for very much – in an environment filled with curiosity to understand and improve the care for bleeding disorders. I get most excited about my work when… my patients and team are happy. If I could tell blood donors one thing, it would be… thank you, thank you, thank you (I guess those are 3 things). My blood type is… A neg. On Saturday mornings you can find me… sipping a cup of coffee enjoying the view from my home (if I am fortunate enough to be there and not travelling to a meeting or conference). I’m currently reading… a medical journal, but can’t wait for the next good book. When I have an hour of free-time, you’ll find me… What hour of free time? My favorite hobby is… building something and physical activity. You’ll never find me without… the will to find a silver lining. The best advice I’ve ever received is… to find a husband that makes you smile. I dream about one day… curing hemophilia and owning a coffee shop in the Caribbean…or hiking all the trails of Washington…or building bookcases in my living room…or going skiing for a whole month…or sitting in an Airstream in a remote campground sipping coffee with my husband on an early summer morning. Shona is no stranger to cancer. Her husband was treated for a stomach tumor in 2012. And in 2005, her friend passed away from Acute Myeloid Leukemia, a type of cancer that starts in bone marrow’s blood-forming myeloid cells. At the time of her friend’s diagnosis, Shona was working as a philanthropy executive in the Bay Area, advocating equal access to education and healthcare, among other causes. Leading a fundraiser for her friend through the Leukemia and Lymphoma Society was a natural extension of her skills. But looking back, Shona is surprised about the one thing she missed. “Through the whole process, going to gatherings, there was never an emphasis on how people of color have a harder time finding a bone marrow match,” she said. In fact, according to the Be the Match National Donor Marrow Program, “rich heritage, complex tissue types and a smaller pool of potential donors” make it harder for thousands of black and African American patients with life-threatening blood diseases to find a match. As an African American woman, Shona would become increasingly aware of these odds following her own eerily familiar diagnosis. A blood test at her local hospital revealed two possibilities—one more terrifying than the other: “They told me it was probably anemia, but it could be leukemia.” The hospital staff administered an energy-infusing blood transfusion (“I felt like I could run laps again,” she recalled) and told her to stay the night. The next morning, her diagnosis was confirmed: Acute Myeloid Leukemia, or AML. By December 2017, AML cells had infiltrated Shona’s bone marrow and chemotherapy was imperative. Through two rounds of chemotherapy, Shona was sustained by 33 units of blood from Bloodworks donors. “After treatment, your blood levels get really low so you’re getting blood transfusions almost every other day,” she noted. Today, she continues to receive monthly blood and platelet transfusions in outpatient care as she waits for the next step in her treatment—a bone marrow transplant through Be the Match. Joe Wilson signed up new Be the Match bone marrow donors at a blood drive in Shona’s honor. 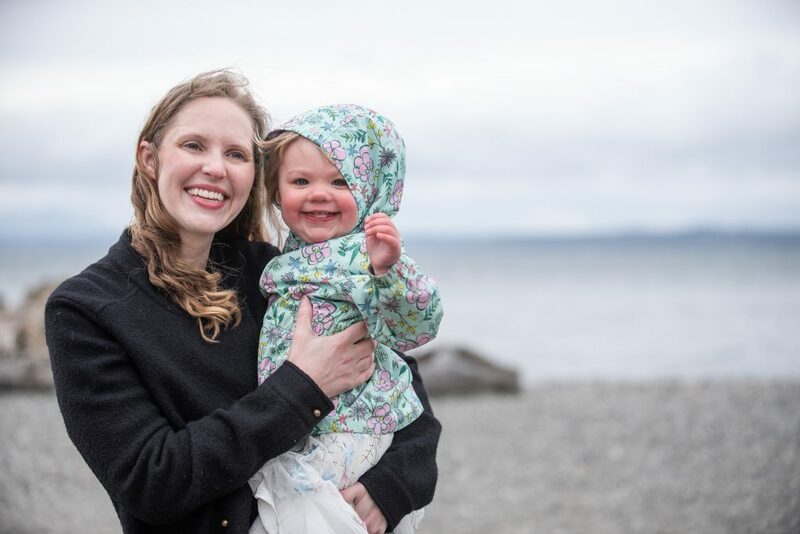 Shona is uncertain about the future in part because there aren’t enough diverse donors to ensure a perfect bone marrow match—an issue facing diverse patients in the Pacific Northwest and across the country. “There’s less awareness among people of color to think about donating bone marrow,” she explained. A lack of diverse blood donors also affects minority patients like Shona who rely on a steady stream of compatible blood transfusions. For people of color who receive multiple transfusions, the more perfectly matched the blood is to their own blood, the better the medical outcome can be. You can help diverse patients like Shona access the care they need. Give blood at a Bloodworks Donor Center near you, add your name to the National Marrow Registry, and let your friends, colleagues and family know about the need for more diverse donors. The room is filled with giddy anticipation. It’s a gathering of Bloodworks Northwest volunteers and employees eagerly awaiting the guest of honor (and, as it happens, birthday lady): Shirley Stubben, a dedicated Bloodworks volunteer for over 25 years. Eyes whip toward the door each time someone slips in. Finally, it’s the entrance everyone’s been waiting for. As she crosses the threshold, Shirley grins at familiar faces but then freezes, momentarily flabbergasted by the full scene: flashing cameras, balloons, banners and a buffet spread. “I wasn’t looking for any of this,” she later said with tears in her eyes. Super woman! Shirley has been a regular volunteer at six local organizations for over 20 years. Not one to call attention to herself, Shirley’s motivation for volunteering is simple: “It just gives me a good feeling.” Incredibly, Bloodworks is just one of many local organizations to which she has regularly given time for over two decades, including the Arthritis Foundation, West Seattle Food Bank, Washington Talking Book & Braille Library, and Seattle Goodwill. At age 80, she volunteers between 120 and 150 hours each month. Bloodworks CEO and President Dr. AuBuchon thanks Shirley for her dedicated service. A former data security analyst for Washington Mutual Bank, Shirley first heard about Bloodworks through her company’s monthly blood drives. “They needed volunteers to help monitor the donors, so I started volunteering every month,” she said. Soon, she was recruiting co-workers to pitch in and contributing extra hours at Bloodworks’ Seattle Central Donor Center every Wednesday night. After almost 20 years as a donor monitor and registrar, Shirley was itching to put some of her other skills to use. “Someone said, ‘Well, the Bloodworks Cord Blood Program needs help,'” she recalled. She started out helping the Cord Blood Program send thank you letters, file, and complete other small projects. Now, she’s back to her data roots, entering cord blood donor information and running reports on the new mothers’ lifesaving gifts. Shirley makes it a point to share her passion for volunteering with her son, daughter-in-law, three grandchildren and three (soon to be four) great-grandchildren. And after a quarter of a century with Bloodworks, she’s inspired many others to be a little more giving as well. After all, why not? You can make a lasting impact in the community with the gift of time. To learn more and apply to be a Bloodworks volunteer, visit our website.